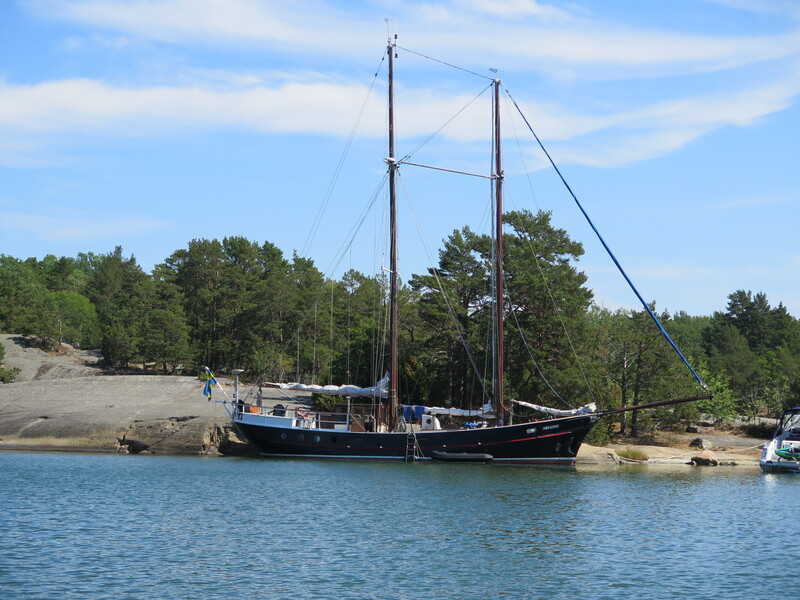 A very short run today to carry on our quest of finding as many anchorages as possible in the northern archipelago. With the help of the excellent Hamnguiden, we selected Träskö Storö. It looked a fairly broad easy entrance, but plenty of space to hold all the Swedes on holiday as well as us. So it proved. It was only a short sail (well motor actually as there was virtually no wind and what there was was on the nose) – 4.6 miles. There was plenty of space though when we arrived (around midday) and anchored next door to an Albin Vega and, while there were plenty of comings, there were also plenty of goings, so it never seemed too crowded. A walk round the island (a lovely nature walk, though we did nearly get lost!) and an afternoon swim made for a very relaxing day ….